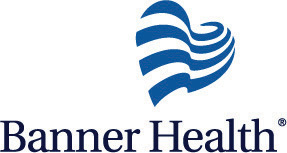 Banner Health Clinic, located in Payson, Arizona is an established primary care practice focusing on Family Medicine, Internal Medicine, Pediatrics, Obstetrics and Women's Health. Our wide variety of healthcare services means each member of the family can be treated comfortably here, no matter their need. 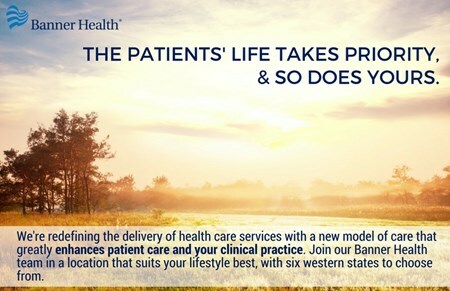 We are committed to ensuring that patients’ needs are met in a timely fashion and with the highest quality of care. Payson is set in a higher elevation with pine trees and milder weather than Phoenix and is located just over an hour from Mesa and Scottsdale. Known as one of Arizona’s jewels, here you can experience the beauty of dramatic mountain vistas, the serenity of wide open spaces, along with a variety of outdoor adventures. With close proximity to the Rim Country, this growing community of 15,000 has breathtaking views of the Mogollan Rim and quick access to a plethora of outdoor activities including golfing, hiking, fishing, lakes and mountain biking. January 2017 | Banner Payson Medical Center was one of 10 Banner Health hospitals serving rural communities to be recognized as a top performer by iVantage Health Analytics and the National Organization of State Offices of Rural Health. The recognition highlights hospitals that rank in the top quarter of all rural hospitals in four categories: Financial, Patient Perception, Quality and Outcomes determined by the analytics company through data that is publicly reported.